General Electric has sold its appliance business to Haier for $5.4 billion, a deal that will greatly expand the Chinese firm's footprint in the U.S.
Haier is best known as a manufacturer of household goods including washing machines, refrigerators and microwaves. In recent years, it has sought to expand into new international markets, including the U.S. The sale, which is the third largest acquisition of a U.S. company by Chinese investors, has been approved by the boards of both firms, GE (GE) said. Haier said GE's appliance division will remain headquartered in Louisville, Kentucky. Feng Zhang, a consumer appliances analyst at Euromonitor, said the business is attractive because of its strong position in the U.S., a market that accounts for more than 10% of major appliance sales worldwide. GE's well established brand is also "an invaluable asset," Zhang said. 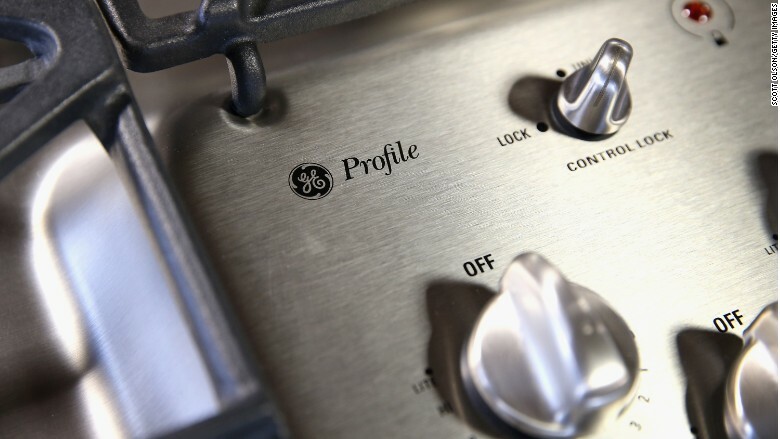 GE had previously agreed to sell the business to Sweden's Electrolux (ELUXY), but the deal was abandoned after regulators raised antitrust concerns. The deal is the latest in a flurry of foreign purchases by Chinese firms. So far in 2016, Chinese investors have spent $12.3 billion acquiring foreign companies, according to Dealogic, making it the fastest start to a year on record. Earlier this week, GE announced it was moving its corporate headquarters from Connecticut to Boston, Massachusetts.